Website founder William C. Head has created and updated following list of criminal defense attorneys from across the United States for driving under the influence, driving while impaired, operating under the influence, driving while ability impaired and operating while intoxicated defense. If you need a DWI attorney, OVI lawyer or DUI attorneys in any of these locations, click on the appropriate link. Criminal offenses committed while operating a vehicle on the highways of any state (and in other locations within the state, as defined by state DUI laws) can lead to a DUI-DWI charge. All states proscribe driving drunk or at a time when drugs impair the operator’s mental and physical faculties. The field of criminal law has a highly defined sub-specialty called “DUI defense” and the DUI lawyers and OUI attorneys that operate a law firm focused on winning these highly-politicized crimes are typically well-known in their community. A DUI-OWI attorney who has completed training on breath alcohol devices, standardized field sobriety tests, and forensic laboratory testing equipment can offer an advanced level of drunk driving defense that most criminal justice attorneys lack. 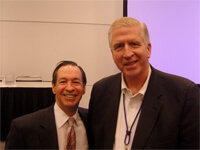 These training courses were first offered by Atlanta criminal defense attorney William C. (Bubba) Head in 1994 (field sobriety test training) and 1996 (breath alcohol device training) in Atlanta Georgia, so no excuses exist for not having cutting-edge trial lawyer training. 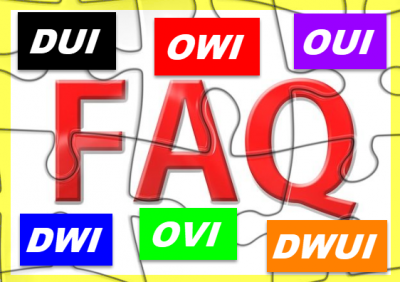 Is a DUI Lawyer and a DWI Attorney the Same as an OUI Defense Attorney or an OWI Lawyer? The starting point for understanding the maze of different abbreviations for the same crime of drunk driving (impaired driving) is that America has no NATIONAL law on drunken driving or DUI-drugs. All other nations on the globe have ONE law, and that applies to all crimes within that nation. The listed 12 acronyms for impaired driving in America resulted from each state’s legislature writing the criminal law code sections. In researching the origins of each phrase, history, geographic location and mere coincidence played a part in this legal development. For example, in 1910, the first two states to enact DUI-DWI laws were New York and New Mexico. Each selected “driving while intoxicated” since only alcohol was being discussed as a possible impairing substance that was causing roadway accidents. Insofar as geography, Massachusetts was an early adopter of a drunk driving law that originally was worded to proscribe “intoxication.” But when expansion of the scope of an impaired driver’s conduct was suggested (by the federal government highway safety agency) to be expanded from merely driving to include operating or being “in actual physical control” of a motor vehicle, illegal drugs and plant material (e.g., weed) were also being targeted as additional substances that can support an OUI-DUI. Two other neighboring states, Maine and Rhode Island, patterned their laws on those in Massachusetts. In thinking of drunk driving charges, it may be helpful to know that TWO categories of the crime exist in almost every state in the USA. The oldest and original way that was created over a century ago was drunk driving (and later drugged driving that both depend on a law enforcement officer’s proof of IMPAIRMENT). With alcohol being the #1 substance, today’s modern laws have been expanded to include ANYTHING ingested, snorted, injected or inhaled into your body that impairs you. Examples can be marijuana, contraband drugs like LSD, crack cocaine, and crystal meth. These “impaired driving” cases do not need a blood test or breathalyzer test, such as when a DUI refusal has occurred. All states have such laws in place. 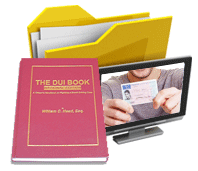 The second type of DWI-DUI is commonly known as “being over the legal limit” DUI cases. 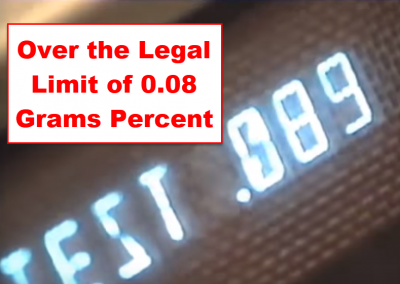 Of course, all states have a zero tolerance for underage DUI-DWI drivers (those under age 21) when it comes to alcohol (even though most states permit either 0.01 or 0.02-grams percent, due to alcohol breath test devices lacking specificity and needing that much leeway). Similarly, by federal law mandate, all commercial vehicle drivers are limited to having a 0.04 grams percent or more in their system. Every state except UTAH has an adult limit of 0.08 grams percent, with Utah changing their BAC limit to 0.05 in late 2018. When someone has taken a breath alcohol test, a urine test, or a blood test, the Government lawyer prosecuting the case will attempt to utilize the forensic laboratory or breathalyzer test result. So, driving with a prohibited alcohol level or prohibited amount of weed (THC) or even prescribed drugs where the person has taken more than the prescribed dose and then intentionally driven, can be proven in a court of law through such lab results. After narrowing down your candidates for representation, ask for a FREE lawyer consultation. In Georgia, our lawyers for DUI defense will even meet with you on weekends or holidays. Call ex-cop Cory Yager, Best Lawyers’ Larry Kohn, or Board-Certified DUI lawyer in Atlanta, Bubba Head, and do it NOW at 404-567-5515, for FREE legal advice. Ask about our attorneys’ fee payment plans. Disclaimer: In utilizing this website, the user understands that he or she must investigate and interview with possible DUI attorneys before making an informed decision about which is the best attorney to hire for his or her DUI defense lawyer. 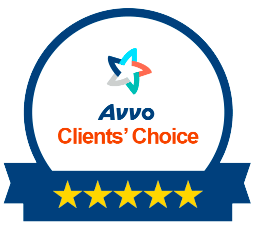 The user further understands and agrees that the only legal professional that is responsible for representing you in your legal matter is the one that you pay and retain or receive as appointed counsel due to indigency. The user further understands and agrees that Fulton County (Atlanta) DUI attorney and Founder William C. Head is only currently licensed in the State of Georgia. 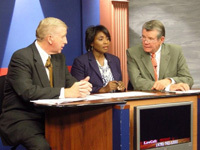 Therefore, unless you have signed a written fee agreement for legal services with metro Atlanta criminal defense attorney William C. Head, he has no professional responsibility for filing any court papers, being in court, or advising you about your legal matter, unless your DUI case is in Georgia. Mr. Head’s address is 5590 Roswell Road, Suite 210, Atlanta GA 30342.